Extensive Menus / Simple Interface — The DP6-SLR contains a menu with more options than anything in its class, yet uses a “DSLR style” scroll wheel for manipulation, making access to any function a rapid one-finger operation. 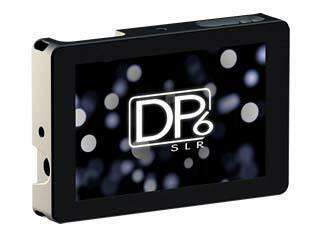 Endless Power Options — With a wide voltage range of 7 – 18, you can run the DP6-SLR using nearly any DC power source. Solid Aluminum Housing — Beginning life as a single 3LB block of aluminum, the DP6-SLR’s housing is milled to perfection using several specialized processes to keep strength at a maximum and weight at a minimum.